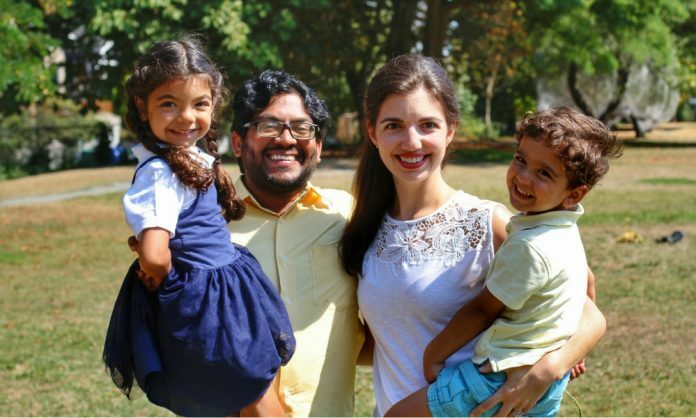 The latest South Asian American public servant throwing his hat in the 2018 Midterm elections is Goutam Jois (D) of New Jersey’s 7th congressional district. Jois is a long time resident of New Jersey and has been active in political causes from a young age, serving as Youth Governor of New Jersey during high school, after which he went on to obtain an undergraduate degree in Government, a Master of Public Policy degree from Georgetown University, and a law degree from Harvard. 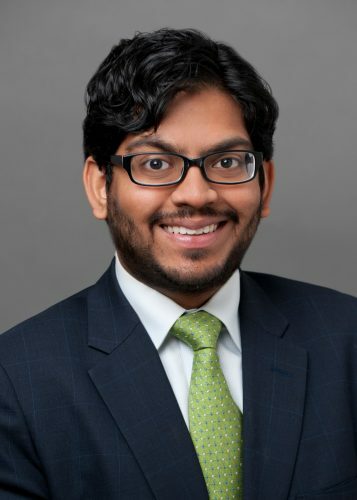 During his law career, Jois had a proven track record of successfully litigating civil rights cases involving police brutality at the Supreme Court, LGBT asylum and First Amendment issues. Jois’ platform is unique in that he proposes three amendments to the Constitution in order to fix a system which he believes creates an uneven playing field for ordinary American citizens. These three amendments, are broadly, to get money out of politics, to promote an individual’s right to privacy, and to pass a new voting rights amendment which guarantees citizens a right to vote without voter suppression or gerrymandering. Jois points out that amending the Constitution is not new and should not be considered an affront to our democratic process. And, he’s right. The first of Jois’ proposed amendments involve overturning Citizens United which he said gives more power to special interest groups. Citizen’s United was a landmark 2010 supreme court decision that allows corporations to use unlimited amounts of money to influence elections, essentially upholding the idea that using money to influence elections falls under the right to exercise free speech. Jois asserts that the appropriate way to tackle campaign finance issues is in a way that holds up in court, however, because any viable approach currently conflicts with the decision of Citizens United, the only strategy is to amend the constitution since it’s not something that can be addressed by passing a bill. Since the topic of gun violence has unfortunately dominated our news cycle yet again, when asked about his approach to tackling the issue, Jois mentioned that there are multiple angles from which it ought to be addressed. For starters, he is in support of universal background checks — which an overwhelming majority of Americans support — and said that lawmakers need to act on measures like banning bump stocks and making sure that people on terrorist watch lists can’t acquire weapons. While these measures are widely accepted, Jois believes that the reason these policies haven’t taken effect is because of special interest groups like the NRA which wield considerable influence over politics. He brings back the topic of campaign finance reform as a tool to mitigate the NRA’s power. Jois also believes we have to reinstate the Federal Assault Weapons Ban which was in place from 1994-2004, but at the same time, acknowledge that most gun deaths occur by handguns not assault weapons, with many deaths being attributed to suicide. “There are absolutely mental health issues that we need to address as part of the gun debate and public health issues,” Jois said. Finally, taking a page from the groundswell of high school activists around the country, Jois’ campaign has been working with a group of local high school students on gun safety and gun violence issues. While Jois believes in taking a multifaceted approach to gun reform, he clarifies that he has never been about confiscating guns or taking guns away from responsible gun owners. Another part of Jois’ campaign is the legalization of marijuana for medicinal and recreational uses. According to a 2013 report conducted by the ACLU, the criminalization of marijuana has been demonstrated to have a racial bias against black Americans. The report concludes that while marijuana use is roughly equal among blacks and whites, blacks are 3.73 times as likely to be arrested for marijuana possession. When asked about the link between marijuana criminalization and the disproportionate incarceration of black Americans, Jois discussed his stance on prison reform in New Jersey, mentioning that the state has one of the worst disparities between races in terms of prison population, with a 12:1 disparity between black and whites according to a 2016 report by The Sentencing Project. Jois’ time spent working for a federal judge and observing drug courts in Boston informs his approach to handling mass incarceration. He cites strategies like drug courts which offer an alternative to incarceration for people suffering from substance use and mental health disorders. Drug courts, although under debate, have been shown by some studies to have positive effects like decreasing crime, reducing recidivism, improving family relationships, and increasing earning potential. When it comes to immigration policy, Jois supports all provisions of a Clean DREAM Act. Specifically, it entails the following provisions: No funding for a border wall or increased border security, no funding for interior enforcement, no funding for more detention centers and no mandatory participation in the E-Verify system. While Jois supports these points and is intent on making it his foremost priority to pass a Clean Dream Act, he states he would also be willing to have a discussion on comprehensive immigration reform after the passage of this act. Coming to the South Asian community specifically, immigration can be a particularly divisive topic. Recently, South Asian groups like the Republican Hindu Coalition have been using the narrative of “good vs. bad immigrants” and wielding the rhetoric of the model minority myth to signal that H-4 visa-holders —who are dependents of H-1B skilled visa holders— are more deserving of receiving a pathway to citizenship than Dreamers. Jois’ response to the Republican Hindu coalition is that we must acknowledge the diversity within the South Asian community and recognize that South Asians fall on a wide spectrum, from Dreamers to people on skilled immigration visas. Ultimately, he says, our country needs unity more than division. If you belong to New Jersey’s 7th Congressional district, check out Jois’ campaign. Above all, be informed on issues and make sure to register to vote in the 2018 Midterm elections. What has been your least enjoyable and most enjoyable part of your campaign to be a congressman? Least enjoyable: Driving. I spend a lot of time driving and I’m not a huge fan of driving. I mean I’ll put up with it, but I’ve driven 12,000 miles in the last 6 months. I live in a pretty large district which is 160 miles from end to end so it’s inevitable. Favorite: Meeting everyone and hearing their stories. Everything I do is talking to people and I love that. Who is a politician that you admire and why? The term politician is an odd one and the politicians get a bad reputation. I admire individuals involved in public service. But two people I admire are Robert Kennedy and Barack Obama, who both ran campaigns that united people. And finally, because this is Brown Girl, who is a brown girl/woman you want to shout out/appreciate? So many people come to mind, from family members and friends who have volunteered to people who have opened up their networks for me. For the sake of not leaving anyone out, I’ll go with someone famous and say Mindy Kaling. 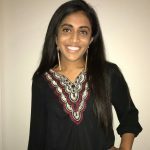 Sruveera holds an undergraduate degree from The College of William & Mary, a Master's degree from Georgetown University and is pursuing a career in medicine. In her medical career, she aims to intertwine her work in health policy and advocacy to ensure better outcomes for underserved populations. Through writing, she hopes to elevate marginalized voices and explore the interplay of various aspects of identity within pop culture, politics, and society. She nurtures her creative side by writing, discovering new music, and watching food-related documentaries as inspiration to cook all the things enjoys eating. Always down for a BFF (Best Food Friend) who gets her references so hit her up to chat on twitter or instagram.